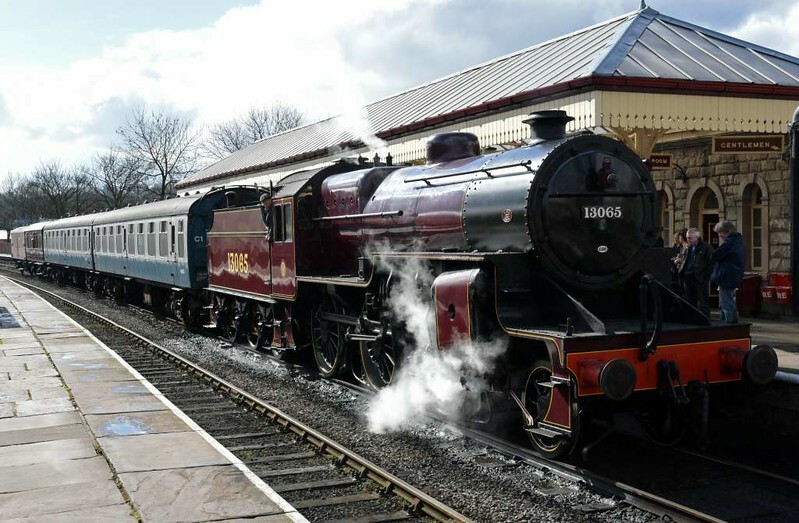 19 photos of the spring steam gala. 13065, 5E33, Ramsbottom, Sun 12 March 2017 1 - 1133. Standing after arrival with the 1110 Bury - Ramsbottom shuttle.